Born in Paisley, the son of a master stonemason, he trained as an architect there with James Donald, and studied the Beaux Arts style at GSA under Eugene Bourdon. He joined Sir JJ Burnet�s London practice in 1903, becoming a partner in 1919, as Burnet, Tait & Lorne. With Burnet, he worked on the designs for war memorials and cemeteries in Palestine. Tait was a major contributor to the development of the firm�s Modernist buildings in London, such as Kodak House (1910), Adelaide House (1920-5) and the Daily Telegraph building (1927-9). 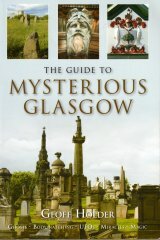 He consolidated his position as one of Britain�s leading Modernist architects with two important projects in Scotland: St Andrew�s House, Edinburgh (1936-9), and the pavilions and layout for the 1938 Empire Exhibition at Bellahouston Park, Glasgow, both of which featured the work of Scotland�s leading sculptors and carvers (1937-8). At St Andrew�s House, he employed the animal sculptor Phyllis Bone and Alexander Carrick to model the Royal Arms above the main entrance, and John Marshall to carve them in stone (a photograph of Marshall carving the unicorn in-situ is reproduced in The Scots Magazine, August, 2005, p. 190). Carrick and Marshall were also chosen to produce sculpture for the Empire Exhibition buildings, which were planned by Tait and his team of nine architects, and ornamented by an army of Scottish sculptors and designers. These include Benno Schotz, Pilkington Jackson, Thomas Whalen, Archibald Dawson, Andrew Dods, Thomas Sutherland and Walter Pritchard; together with sculptors from further afield, such as London�s Benno Elkan, Barney Seale and Alfred Hardiman. Little of the exhibitions sculpture has survived; the site, together with Tait�s iconic Exhibition Tower, having been cleared soon after the exhibition closed, and the sculpture sold off or destroyed. Surviving sculpture from the exhibition includes: the Exhibition Memorial, which was originally within the Atlantic Restaurant and now al fresco; the Peace Cairn, which is still at Bellahouston Park; Foam, a bronze figure of a water nymph, which is now at Greenbank Garden, Clarkston (although without her accompanying dolphins); Jungle Family, a lead group of an Orang-utan with her baby, which is now at Edinburgh Zoo; and the Norwich Lions, which were exhibited later at London and copied for Norwich Town Hall. Internationally, Tait is remembered for designing the pylons of Sydney Harbour Bridge. He died in London on 18 July, 1954, his practice being continued by his son, Gordon Thomas Tait, at 10 Bedford Square, London.